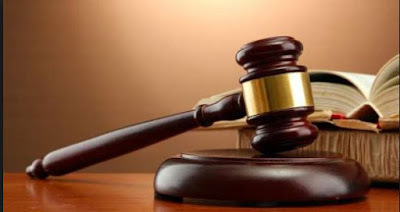 An Ikeja Magistrates’ court , sentenced a 20-year-old “homeless’’ bus conductor, Faruk Yusuf, to 90 days in Kirikiri prison with hard labour for assaulting a woman. The magistrate, Mrs M.O Tanimola, sentenced Yusuf, after he pleaded guilty to assault and pleaded for mercy. Tanimola, in her verdict, however, gave the accused an option to pay N10,000 fine. “You are hereby sentenced to three months imprisonment with hard labour or an option of N10,000 fine. “The sentence will serve as a deterrent to others who might want to engage in similar acts,” she ruled.. . Earlier, the Prosecutor, Insp Aondohemba Koti, told the court that the accused committed the offence on Jan. 6, at Ojuwoye Market, Mushin. Lagos.